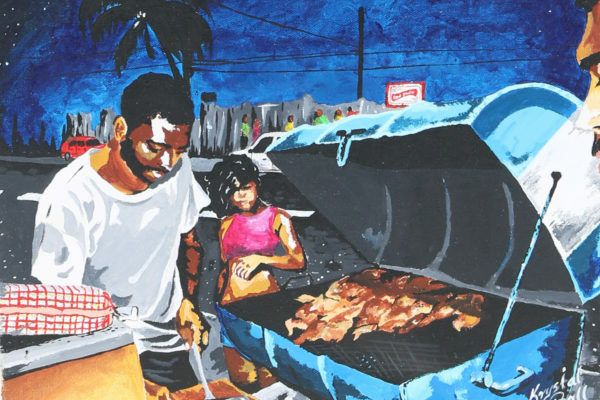 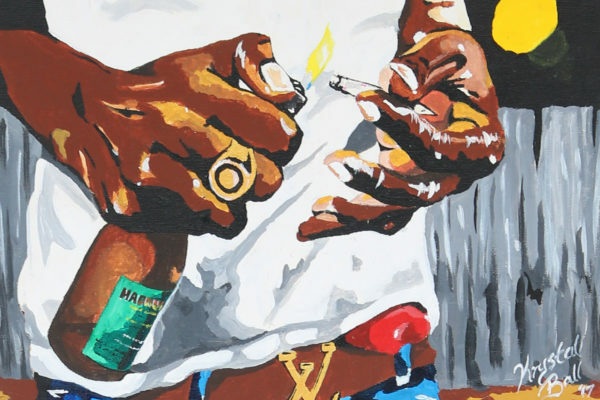 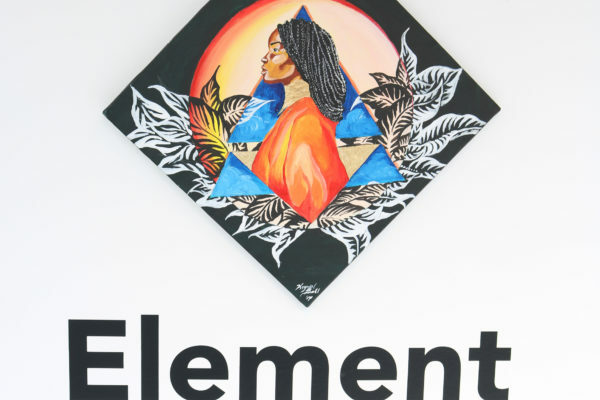 The paintings in Element offer modern portraits of Jamaicans and everyday moments of life in Jamaica imbued with rich stories of the journeys of hope and survival that continue to exist amidst landscapes of struggle. 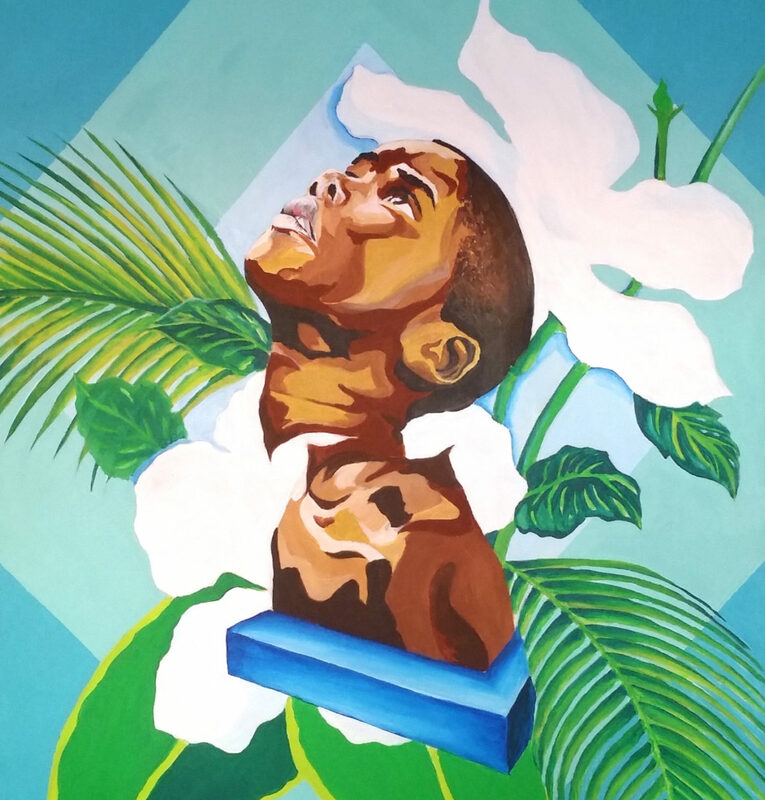 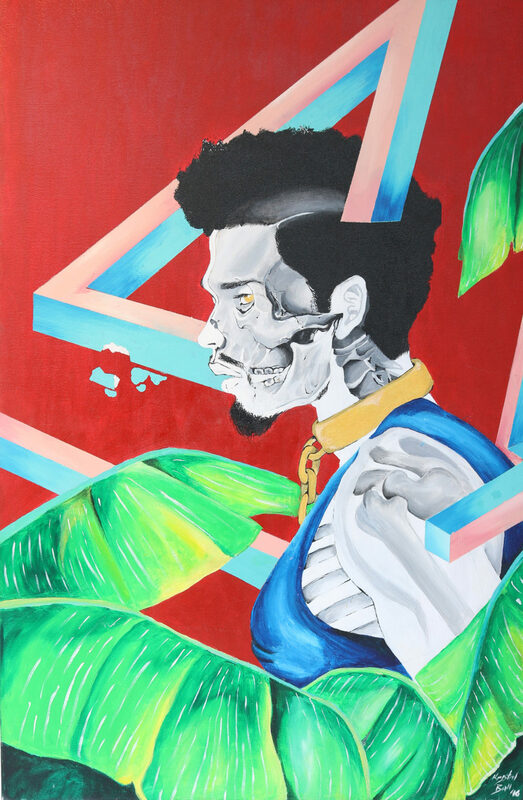 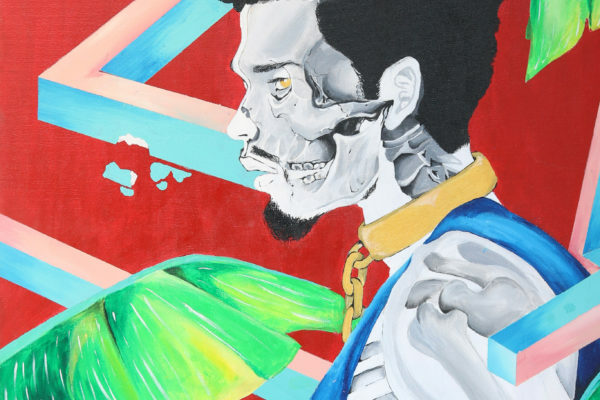 Juxtaposing lush textures and color with sharp edges and lines, Krystal brings together the creative genius of Jamaicans in conversation with the challenges of structural inequity. 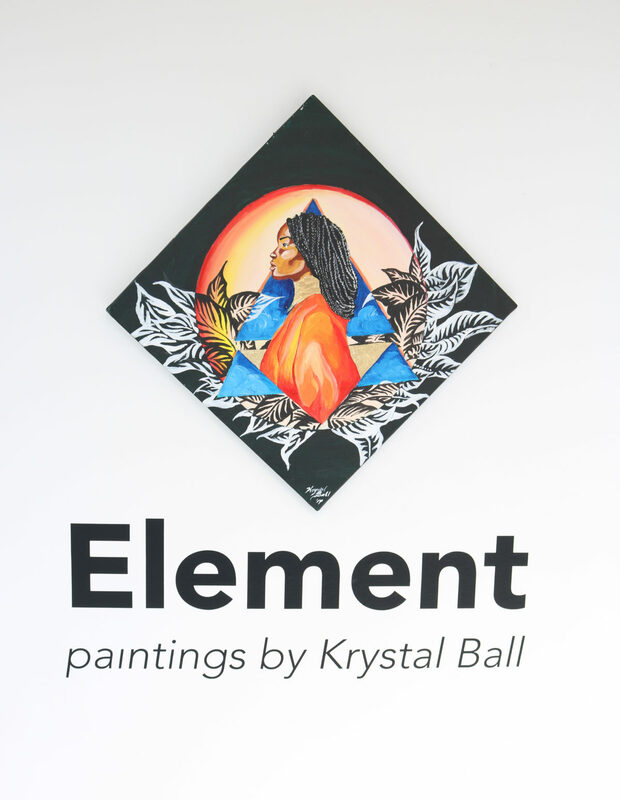 Through this collection of work, Krystal Ball presents personal and emotional truths of feeling lost and hopeful in a world that both stifles our imaginations and invites visions for a different future. 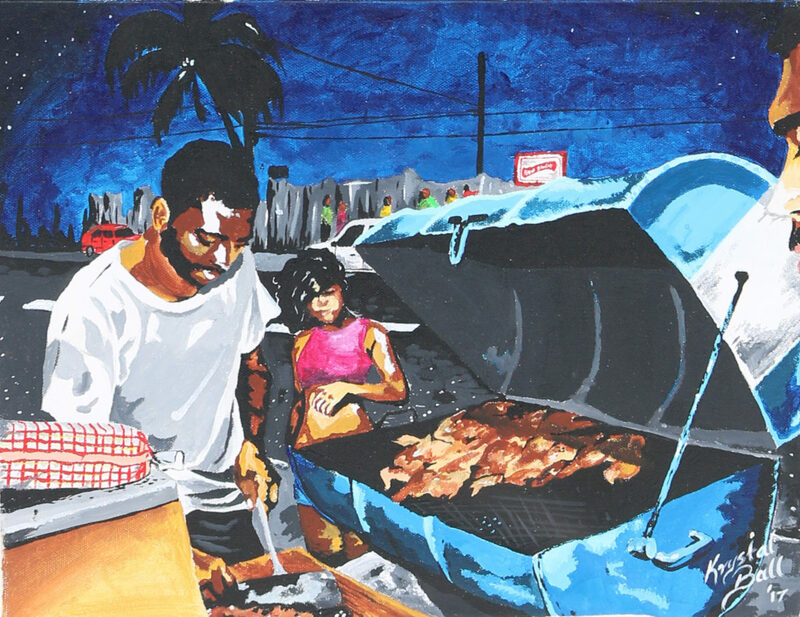 Krystal Ball is a visual artist from St. Catherine, Jamaica. 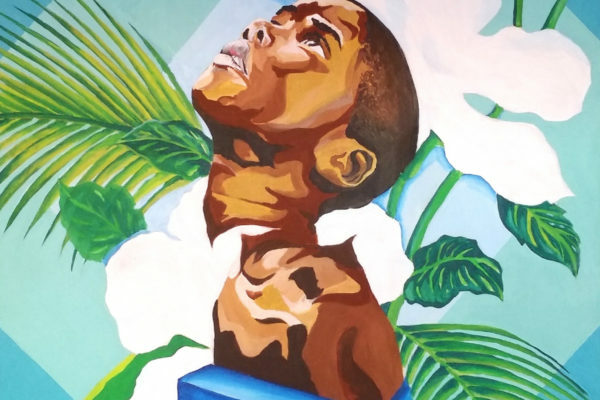 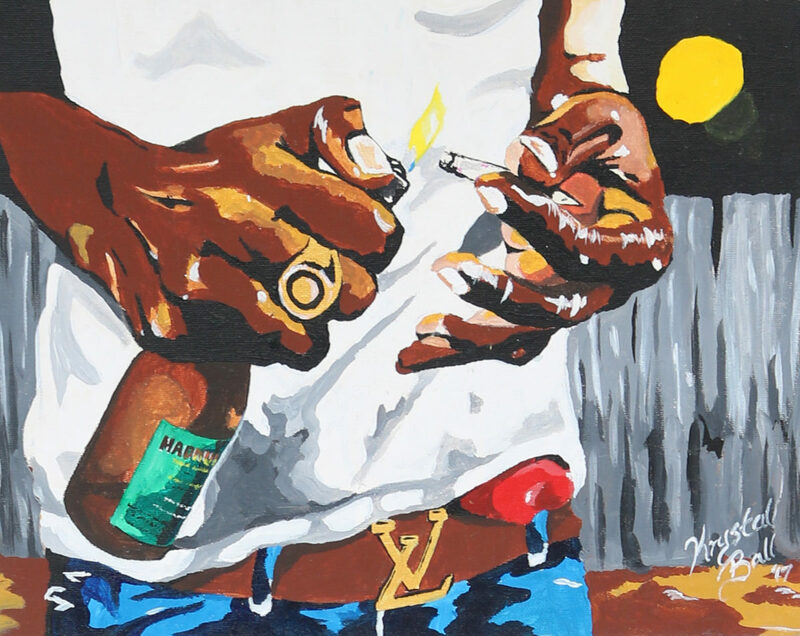 She studied fine arts at Moore College of Art and Design in Philadelphia and is the recipient of awards such as the Pan American Health Organization Centennial Poster Competition. 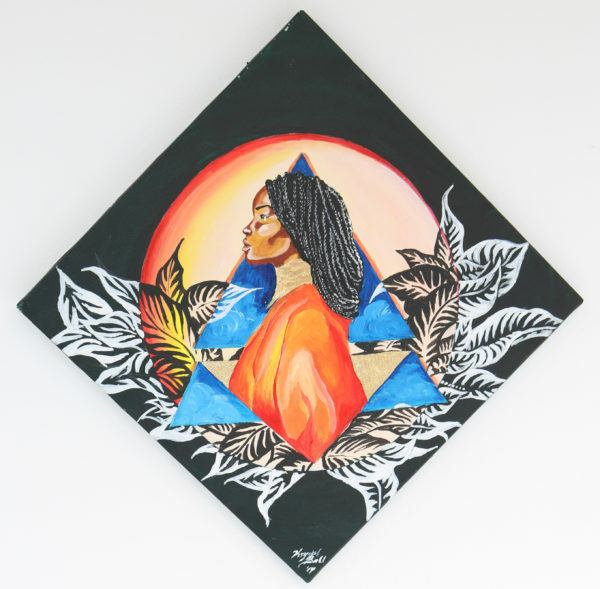 She is currently based in Jamaica, and continues to show and sell her work locally and internationally, most recently in Germany and Russia.